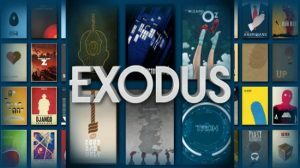 Kodi, open-source software designed specifically with home entertainment in mind – and it’s perfect if you’re a fan of movies, sports, films, and TV shows. Previously known as XBMC which was created for Microsoft Xbox, Kodi has continued to evolve and grow. Kodi can be installed on most of your devices including Windows, iOS, Android, MacOS, Smart TV, Linux, and even the Raspberry PI. Basically, Kodi turns your device into a digital set-top box or streamer, giving users the ability to stream files from the internet, a home network and local storage. Kodi is not held back by any licensing, so you can download a range of community-made apps or add-ons, and watch whatever you like. Kodi can be easily installed on your android devices from Google Play Store directly or you can also download Kodi for Android devices from the official website but make sure that your device accepts unknown sources (you can check this from settings>security). Similarly, you can download Kodi for other devices from respective stores or from the official website of Kodi. Installing Kodi on iOS devices can be little difficult as you need to have a jailbroken iDevice running iOS 6.0 or higher (8.0 or higher recommended). Again you can download Kodi from the official website for any platform or any device. Once you are done installing Kodi on your devices, then it,s about adding add-ons because Kodi does not provide any media itself. Users have to add their own content or manually point Kodi to third-party online services. Also, Kodi project does not provide any support for bootleg video content. 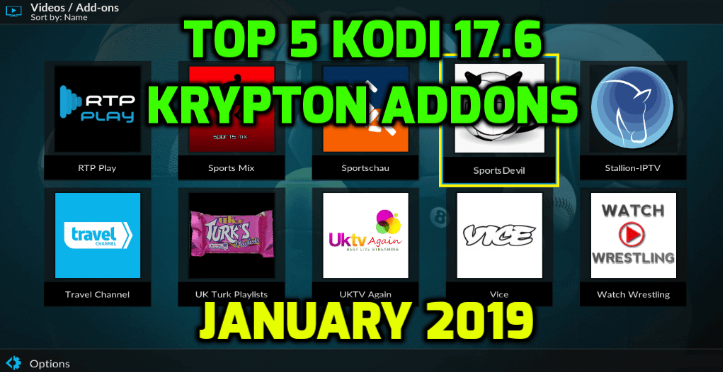 So, below you can find our pick of top 5 add-ons for Kodi. It is currently the most popular add-on and works very well. It can play movies and TV shows. Phoenix has a lot of content which includes TV shows, movies, and sports. It is steady and updated with new sources. You can find tons of content within it from a kids section to sports and movies. It a big resource to find good streams. All the steps remain same just type in this URL: http://toptutorials.co.uk/kodi/ for Step 3 as shown above and name it anything and choose a repository.xbmchub-1.0.6.zip file while installing from zip file option. 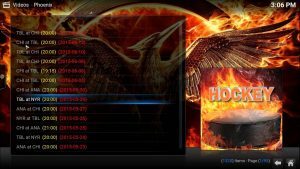 Then, from the install from repository option choose TVAddons.ag Add-ons Repository and select Phoenix and install it and you are done. Specto Fork plays both movies and TV shows and gives you a server list to choose from for the best feed. Similar steps for installing Specto Fork type in this URL: http://kodi.filmkodi.com and name it Film Kodi. Then, choose Filmkodi.com repository-MRKNW by installing from a repository and finally go to Video add-ons and install Specto Fork. UK Turk’s is a nice add-on with a unique layout for categories such as live TV, TV shows, sports, movies, cartoons, and documentaries. Again, same steps but type in this URL and name http://kodi.metalkettle.co and Metalkettle respectively. 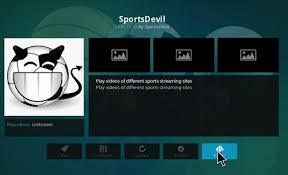 SportsDevil, as its name suggests, is mainly for sports but also has a wide variety of other channels. It’s the best feature is many of the streams play live streams from the Cartoon Network to Fox News. Installing SportsDevil is similar to installing Exodus. Everything remains same just keep in mind to select repository.unofficialsportdevil-1.0.0.zip while installing from a zip file and install Unofficial Sports Devil Repository while installing from the repository. Finally, install SportsDevil add-on from Video Add-ons.